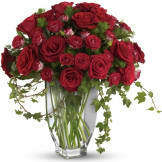 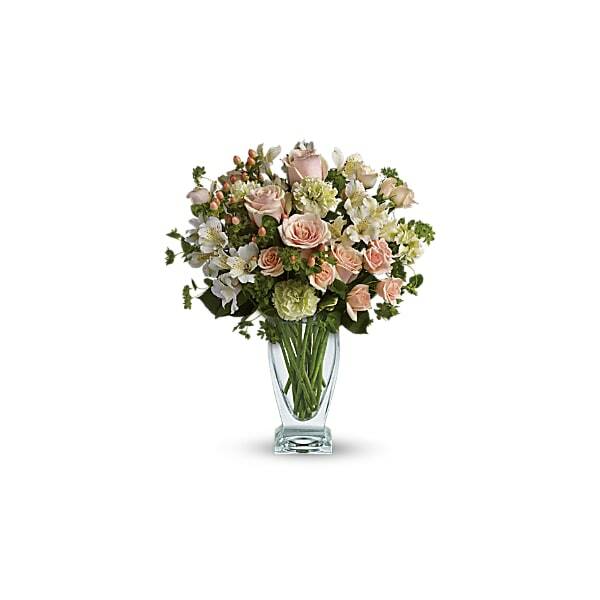 This lavish bouquet of roses and alstroemeria has an antique, classic feel that's appropriate for all. 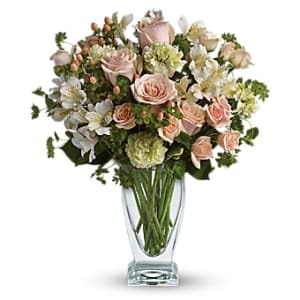 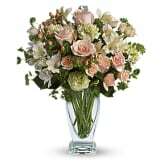 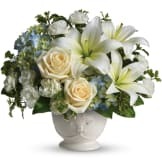 • Peach roses, white alstroemeria, pale green carnations and peach hypericum are mixed with bright green bupleurum in an elegant Couture Vase. 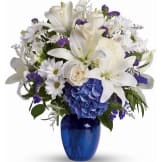 • Appropriate to send to the funeral home or to the family’s residence.